Fantastic for developing problem solving skills, dexterity and imagination, there’s no denying toddlers love to tinker with puzzle toys. Here we’ve found a handful of brilliant puzzle toys for little one’s, bound to be a hit on the toy rotation! 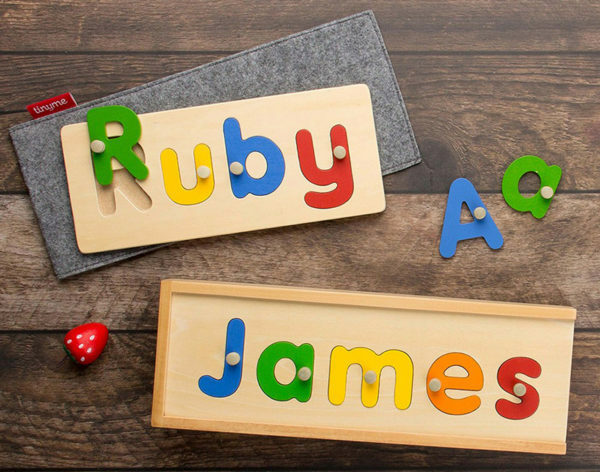 A classic gift for baby – and one that is truly adored by both child and parent – is the Personalised Wooden Name Puzzle, $28 from Tiny Me. A fantastic way to celebrate a child’s moniker, these gorgeous puzzles are a great start to learning letter recognition. Order direct from Tiny Me. If there were awards being handed out for the cutest puzzles, Janod would be well decorated. 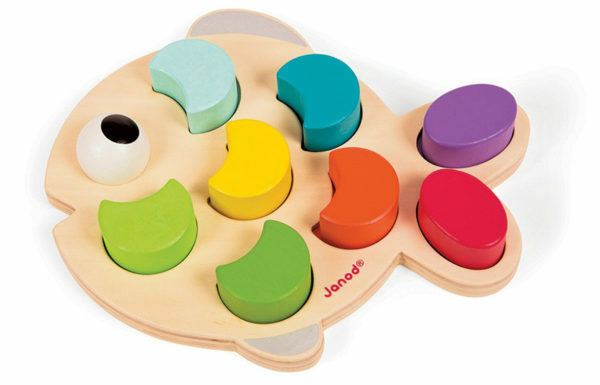 A cute and colourful puzzle, littlies will love matching colours with the Janod Wooden Fish Puzzle. Find it at Entropy, priced $49.95. We’re long time fans of all things Grimm’s here at Babyology HQ. 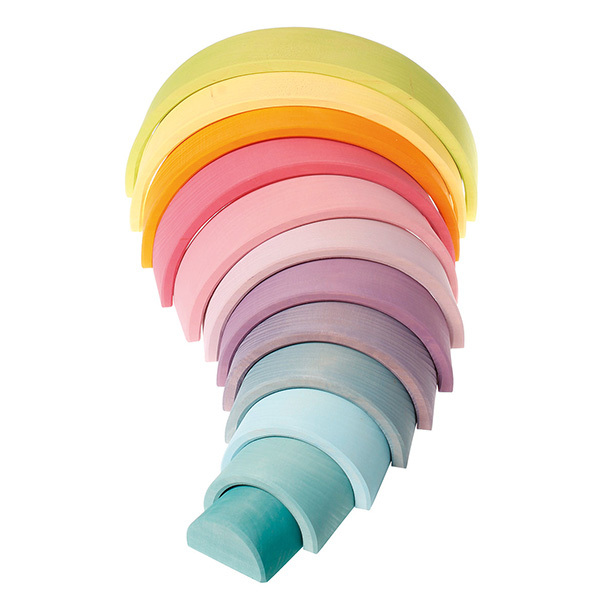 Our favourite, the wooden tunnel puzzle is now also available in glorious pastel tones. Reminiscent of an ice-cream display, this giant gelato coloured tunnel promises hours of endless imaginative fun! Grimm’s Pastel Wooden Tunnel (also pictured at top of article), priced $132 from Oliver’s Twisty Tales (both images credited to Oliver’s Twisty Tales). Never underestimate the pull of a shape sorting toy, young children can’t get enough of popping shapes through their matching holes – over and over again. Then repeat. 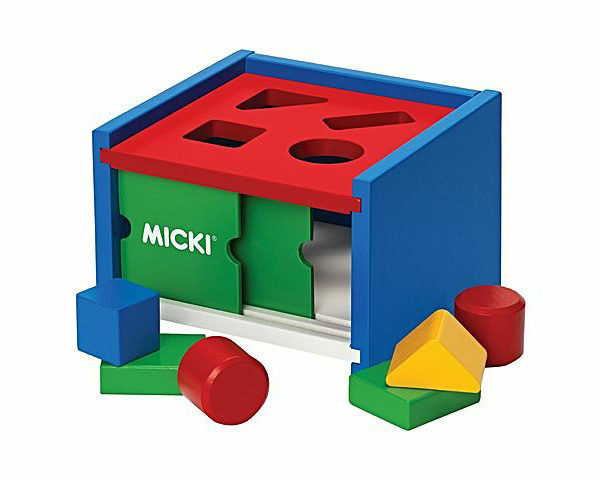 We love this colourful Micki Classic Wooden Sorting Box, $48 from Leo and Bella. When it comes to actual puzzle pieces, bigger is better for little hands. 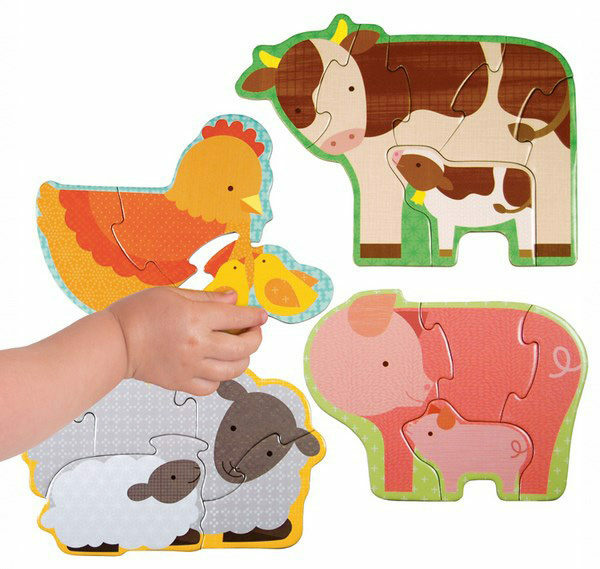 The perfect beginner puzzle for tots, the Petit Collage Farm Babies Beginner Puzzle enables children to piece together four farmyard friends in next to no time. Available from Booktopia, priced $26.25. Wooden peg puzzles will always be a hit with littlies. Curious toddlers will love to discover – and hide – woodland critters behind trees and in bushes of this pretty woodland scene. 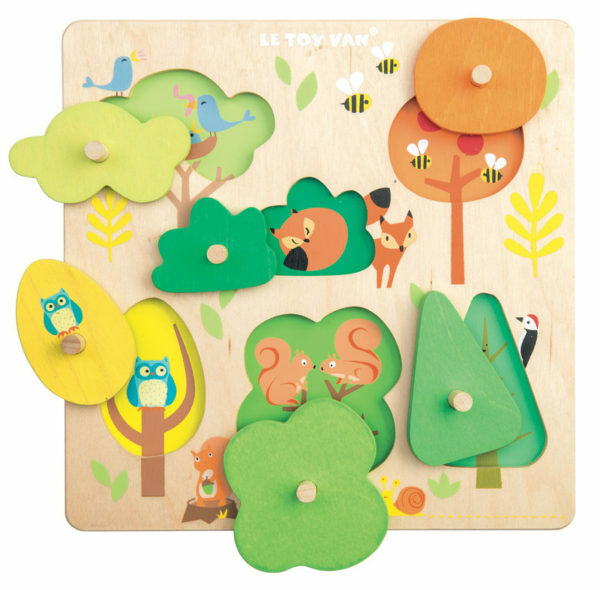 The Le Toy Van Petilou Woodland Tree Puzzle, $24.95, is available from Jigsaw Store. The only doughnut to still look delicious even when it’s in pieces, the Make Me Iconic Doughnut Puzzle is as fun to pull apart and piece back together as.. well, chocolate icing and sprinkles. Buy it direct from Make Me Iconic, priced $24.